Over the past decade, Buck has performed in Europe, Canada, and the United States. Buck has mesmerized audiences from around the globe on Luxury Cruises, on Television, at Fairs, and for Major Corporations. 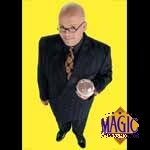 He entertains with a unique style that combines hilarious comedy, astonishing magic, and plenty of audience participation to intrigue and amaze his audiences. 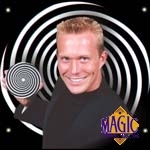 The Buck Comedy Hypnosis Show is the perfect solution to your next event! Members of Fernandez’s audience volunteer to create the most hilarious hypnotic show you will ever witness! Fernandez delights audiences worldwide with his dynamic stage presence and original material. Some of his venues include casinos, conventions, corporate shows, fairs, festivals, universities, colleges, nightclubs, and prestigious cruiselines. Fernandez will design his show to fit your theme in English or Spanish, and offers a ‘family’ show or an ‘adult’ version. Put Fernandez’s experience, professionalism and originality to work for you today. John R. Pullum has been entertaining audiences professionally for over 17 years. 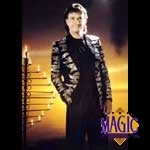 He has been performing and giving his psychic demonstrations since he was a young child, adding up to 25 years in entertainment. He has amazed and amused sell-out crowds from Toronto to Tokyo, and his clients include Disney, The Discovery Channel, Toyota, Columbia Records, Neil Young, FUJI Television, Shell Oil, and Nissan. John is a true entertainment professional who can help promote your event through amazing publicity stunts, radio or TV appearances. Hypnotist Mike Mandel causes otherwise rational people to see, do, and believe, totally ridiculous things. Mike rapidly guides his "victims" through increasingly ludicrous and hilarious scenarios. They may fish for sharks, shovel snow from the stage, or discover that their clothing is inside-out! 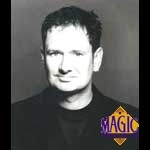 Mike's warped (but tasteful) sense of humour and bizarre ideas of comedy have earned him ravereviews throughout Canada, the United States, Britain, and Australia. 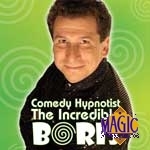 The Incredible BORIS is a versatile Mentalist/Hypnotist. His unique style and powerful stage presence transforms any event into an extraordinary experience. BORIS has dazzled audiences across United States, Canada, and as far away as the Caribbean, Hawaii, Japan, Korea and Russia. His fascinating show is a guaranteed success.